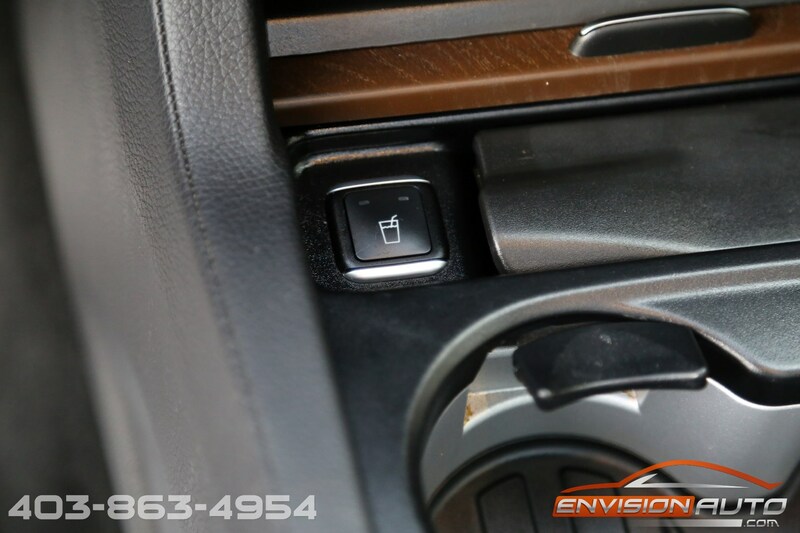 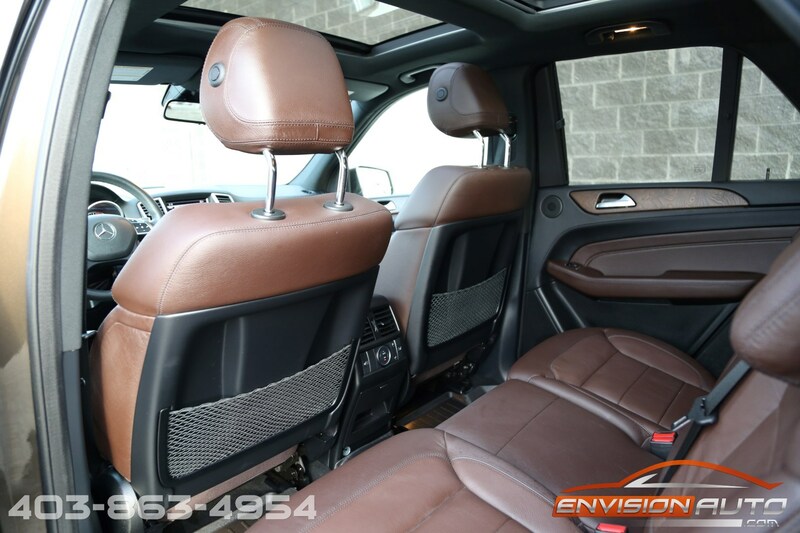 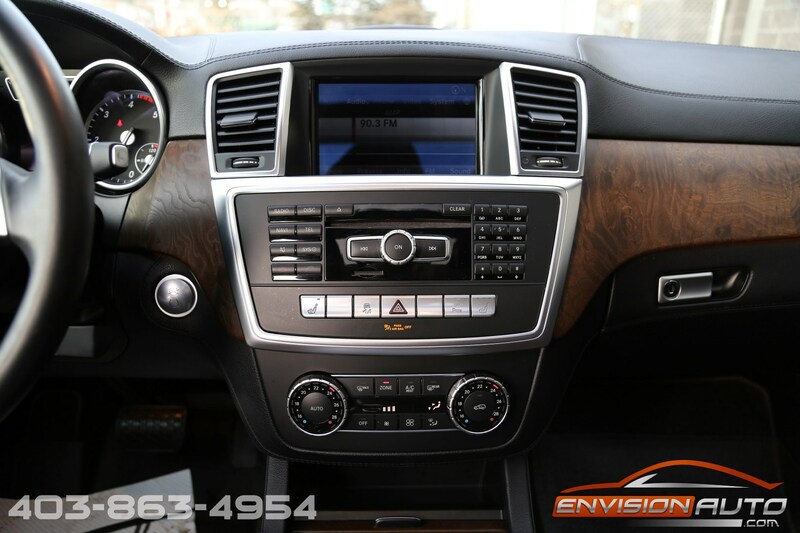 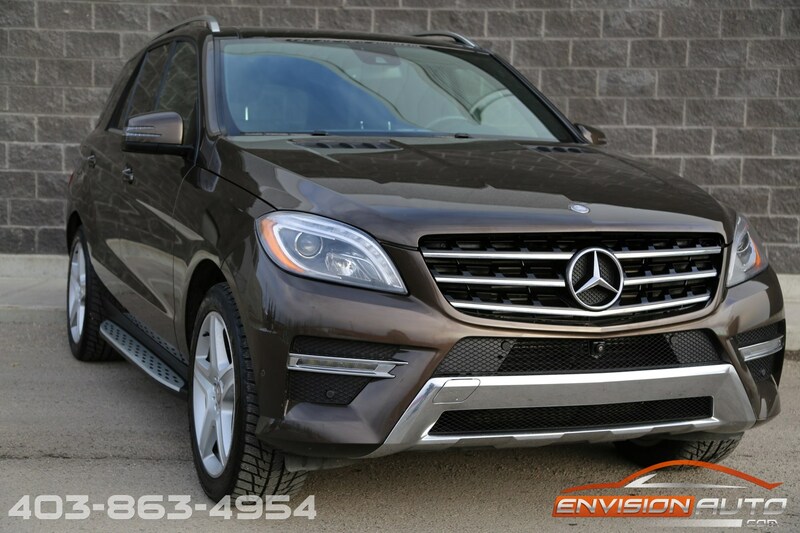 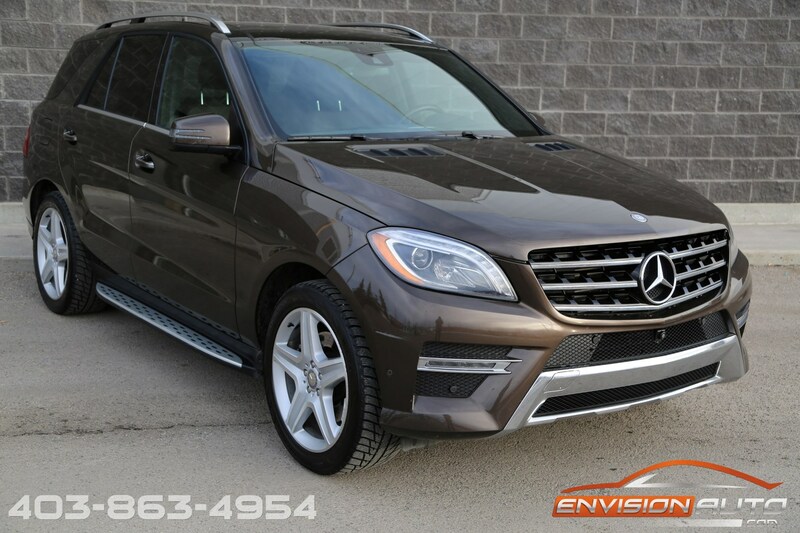 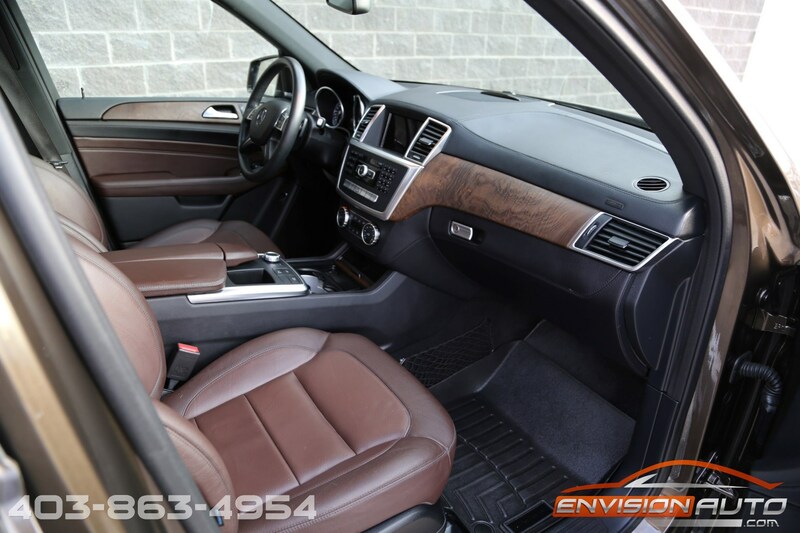 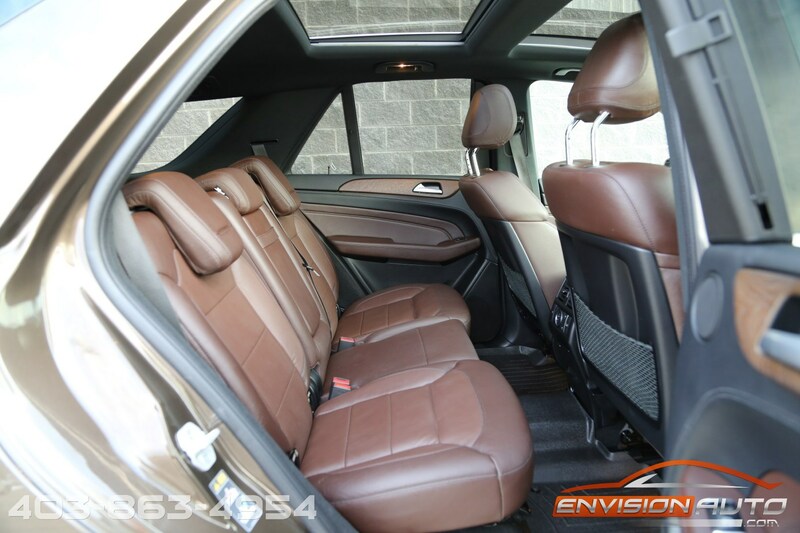 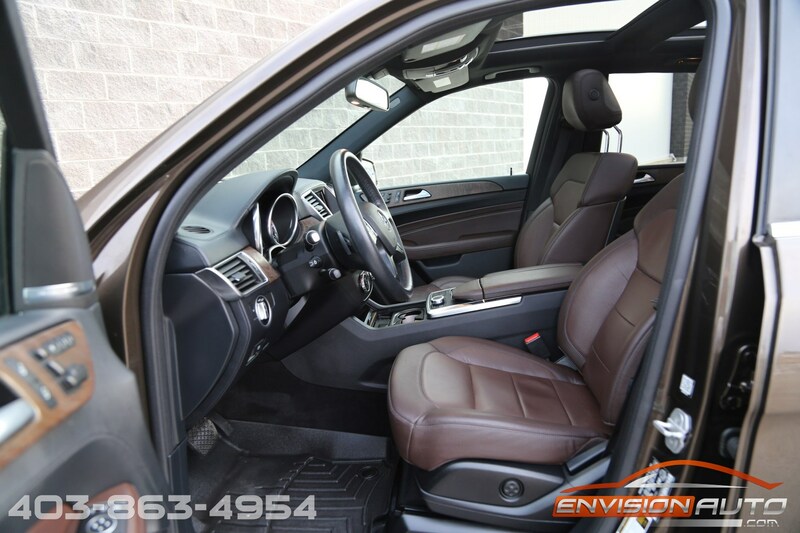 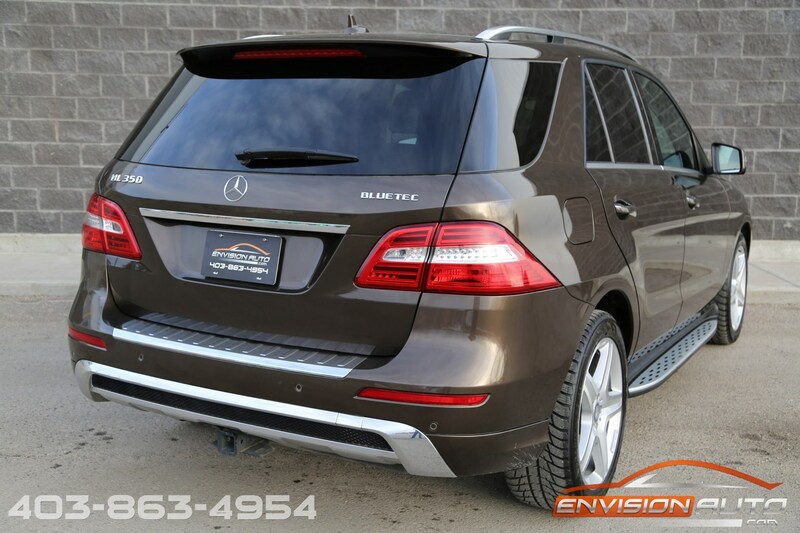 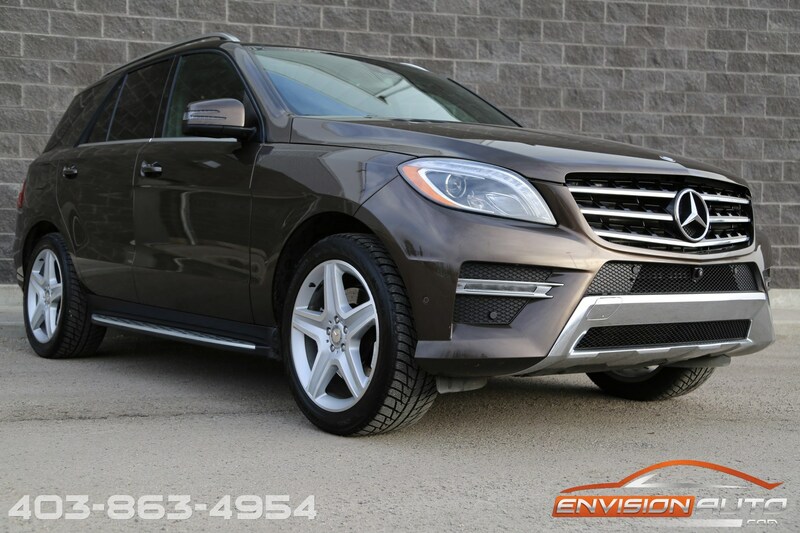 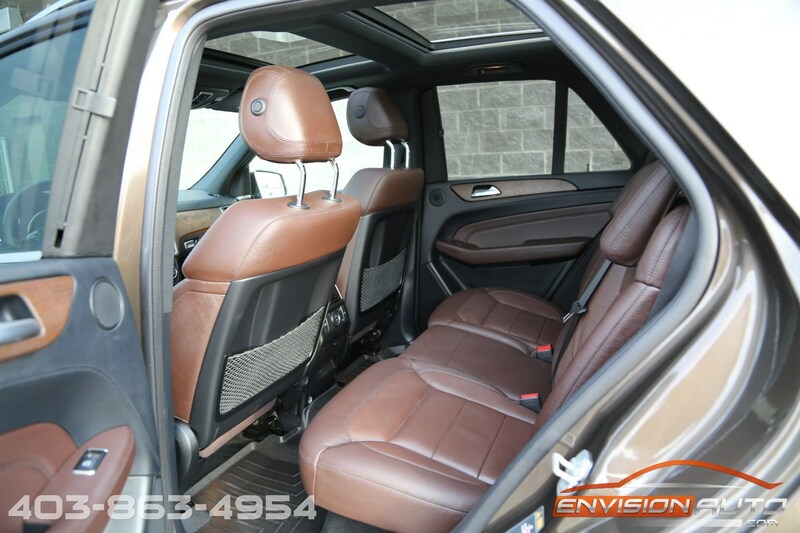 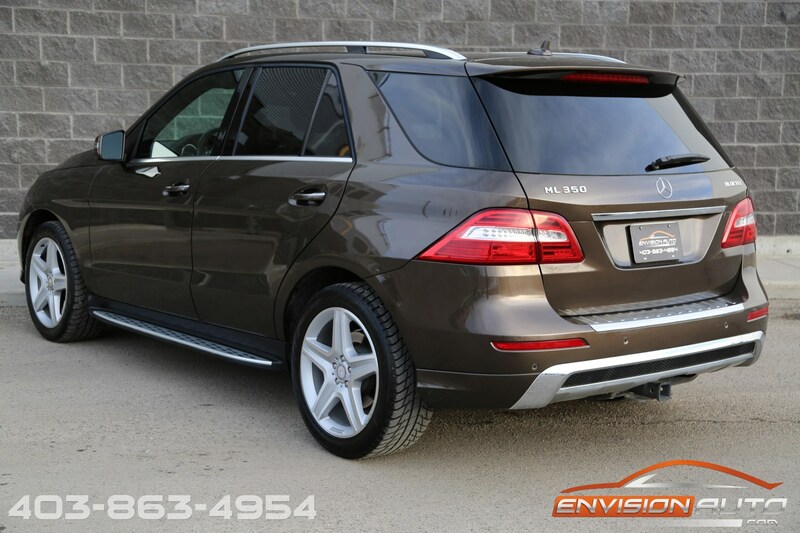 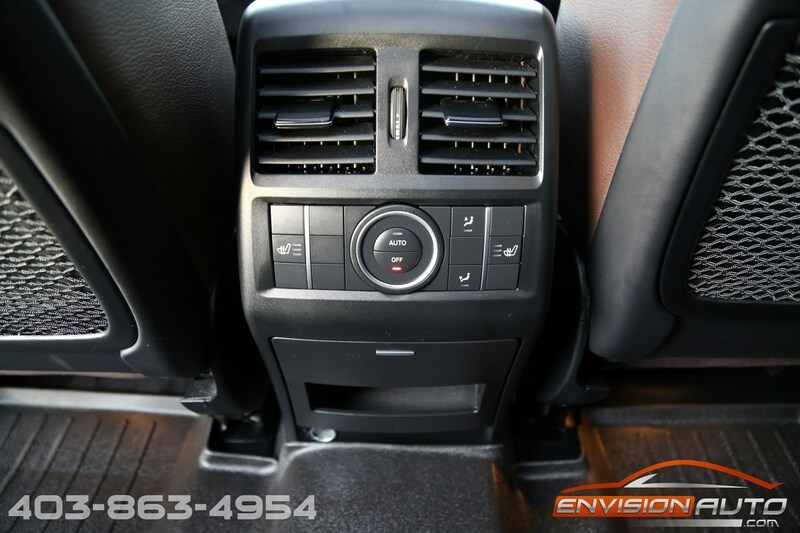 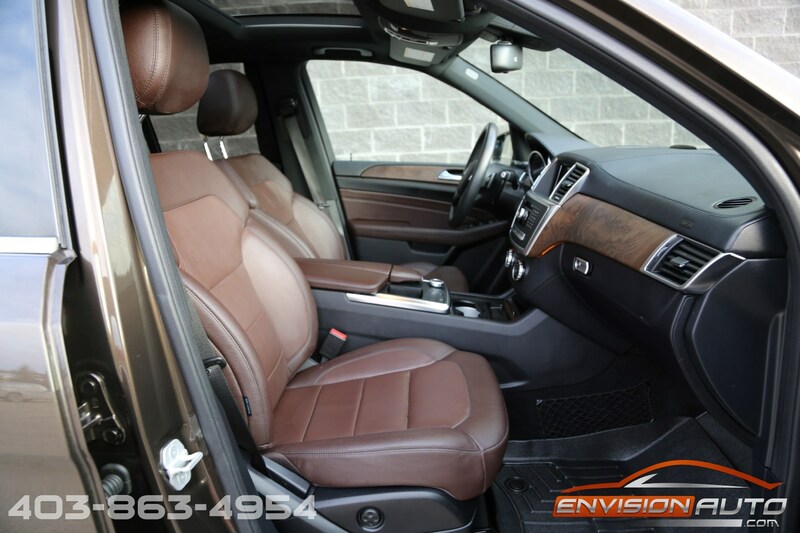 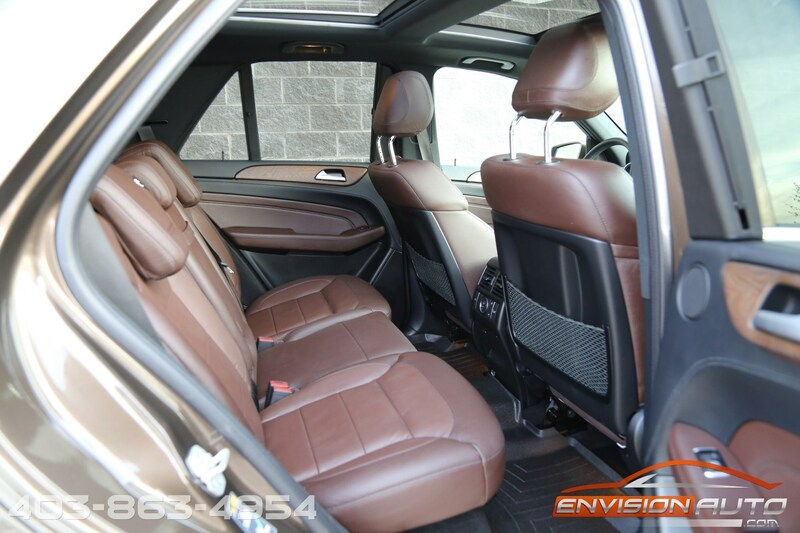 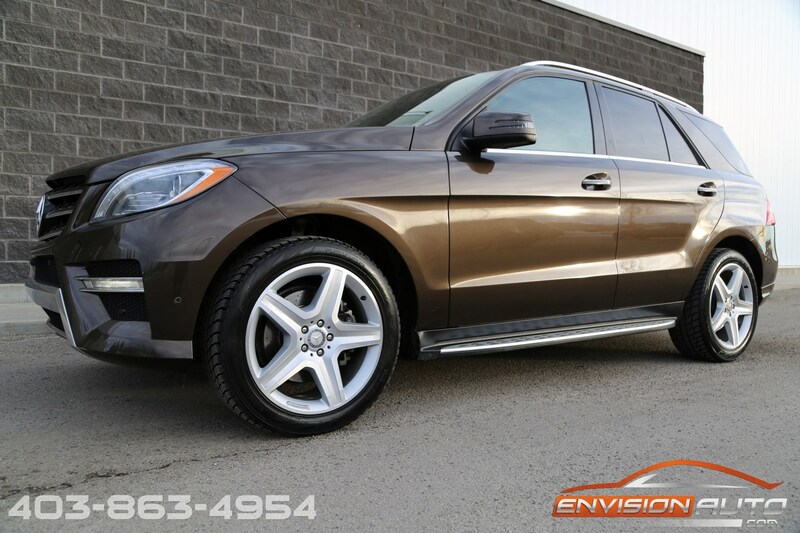 2015 Mercedes-Benz M-Class ML 350 BlueTEC \ ONE OWNER \ 81K KMS! 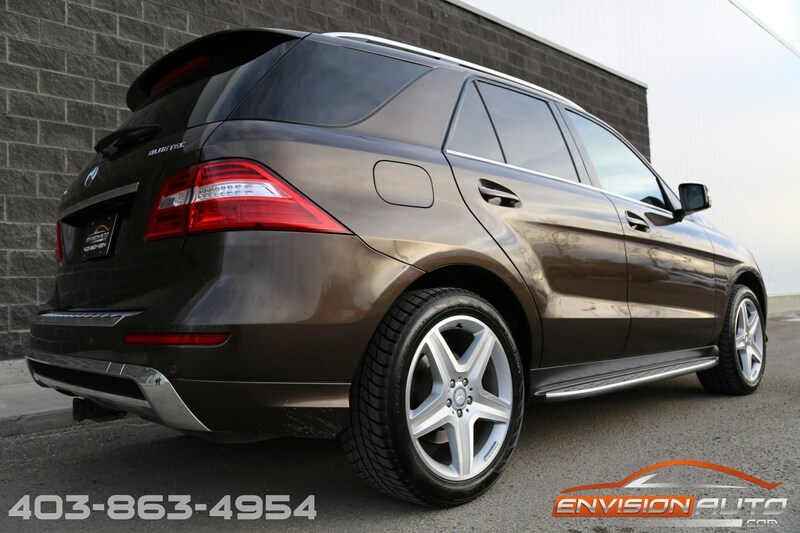 Color : –Citrine Brown Metallic Ext. 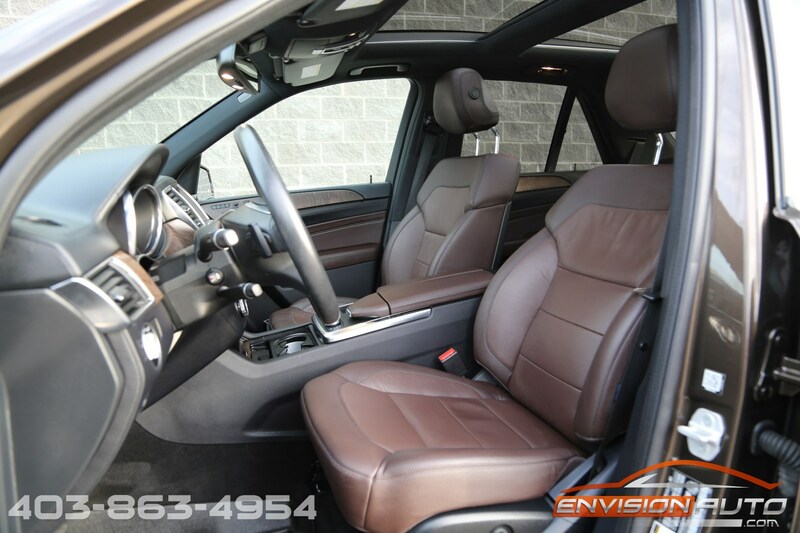 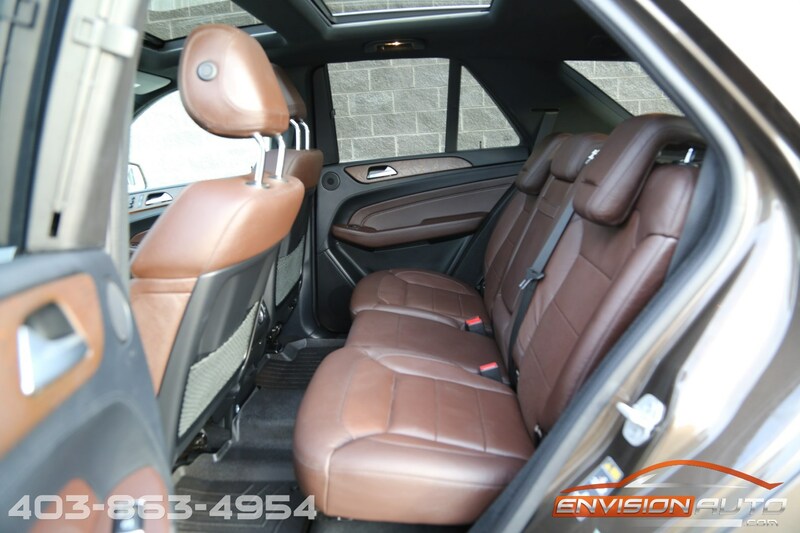 w/ Mocha Brown Leather Int. 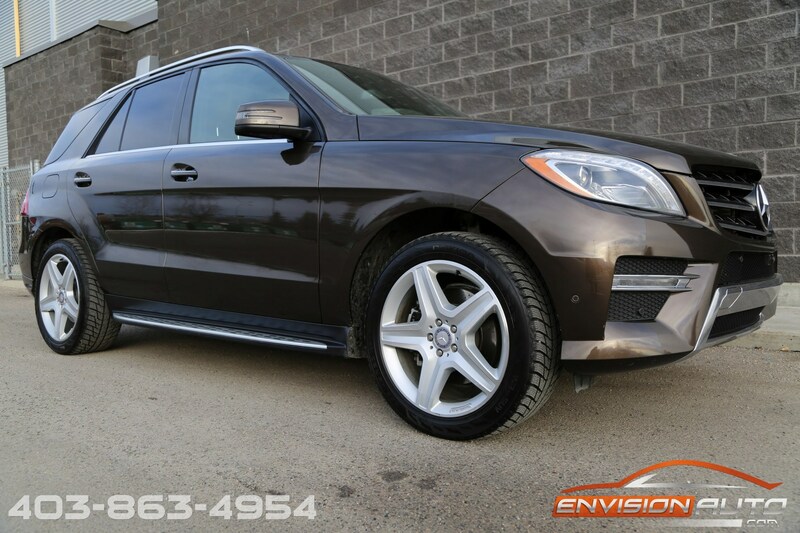 More Details : – PREMIUM PACKAGE \ PANORAMA ROOF \ 20IN AMG WHEEL PKG \ PARKTRONIC \ SURROUND VIEW SYSTEM \ REVERSE CAMERA \ KEYLESS GO \ HARMAN KARDON LOGIC7 \ HEATED FRONT AND REAR SEATS \ HEATED STEERING WHEEL \ HEATED AND COOLED CUP HOLDERS \ SPOTLESS CARFAX CANADA HISTORY REPORT \ ONLY 81,500 KILOMETERS! 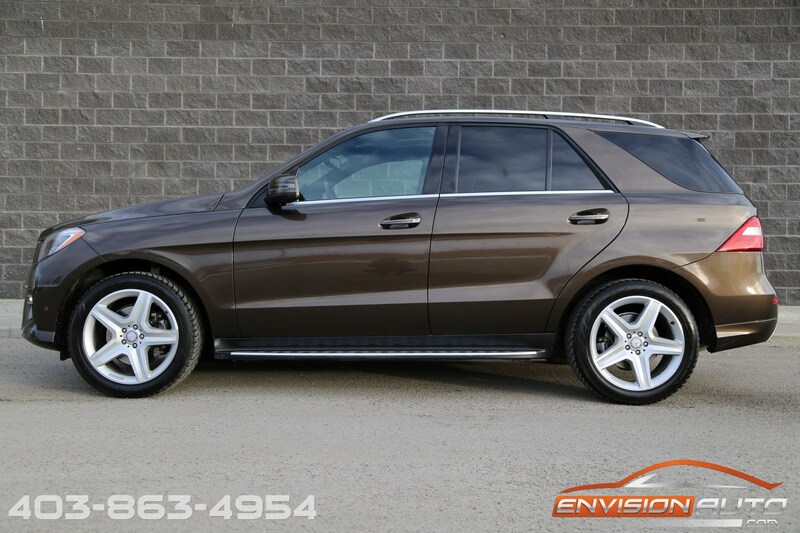 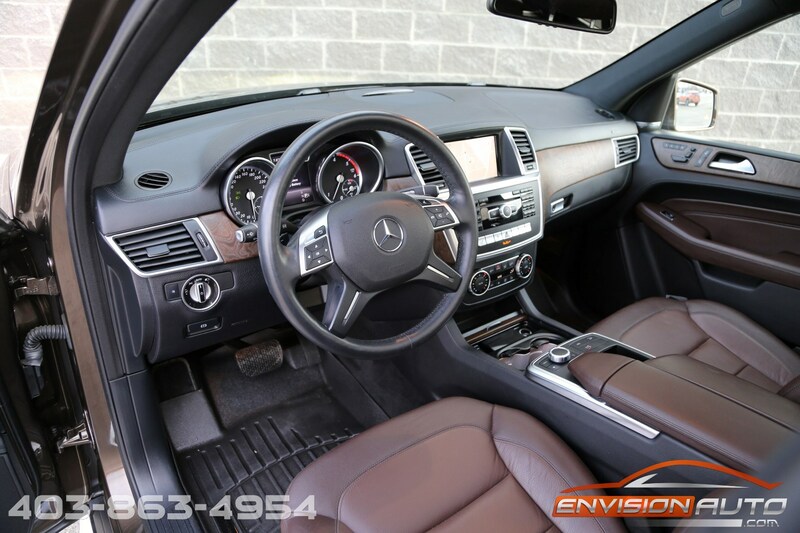 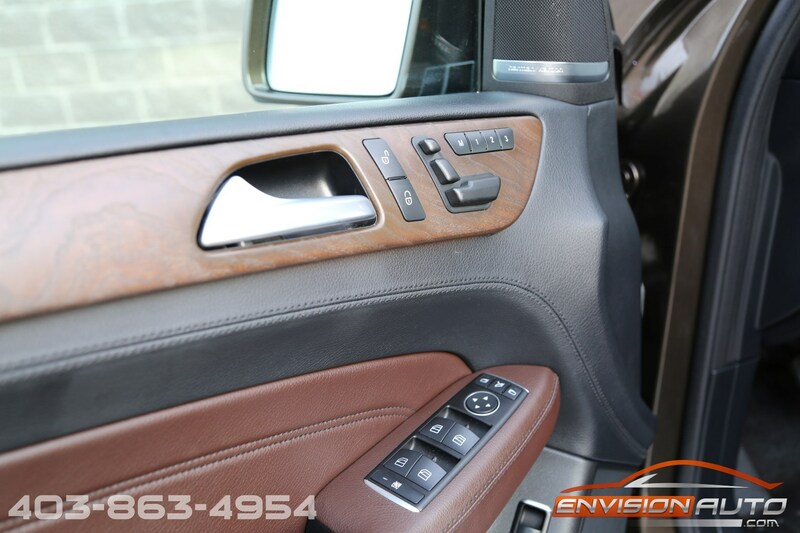 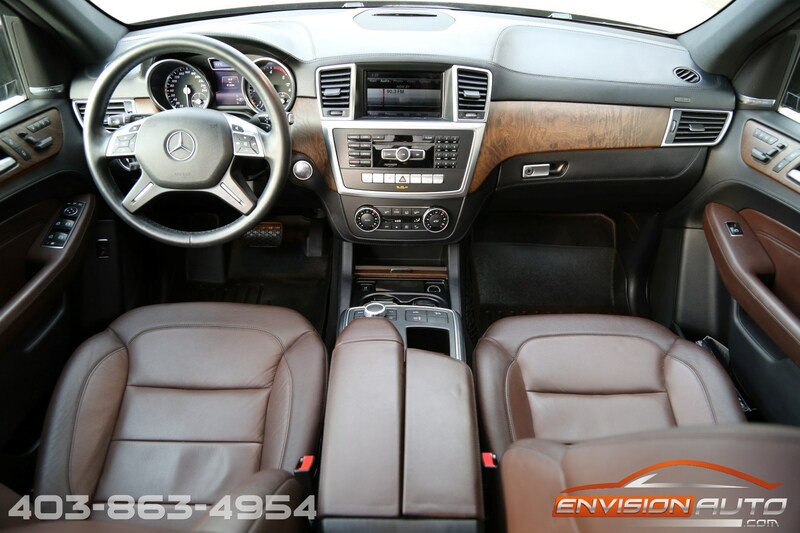 Absolutely immaculate, single local owner, ML350 BLUETEC 4MATIC in citrine brown metallic exterior finish over tobacco brown leather interior. 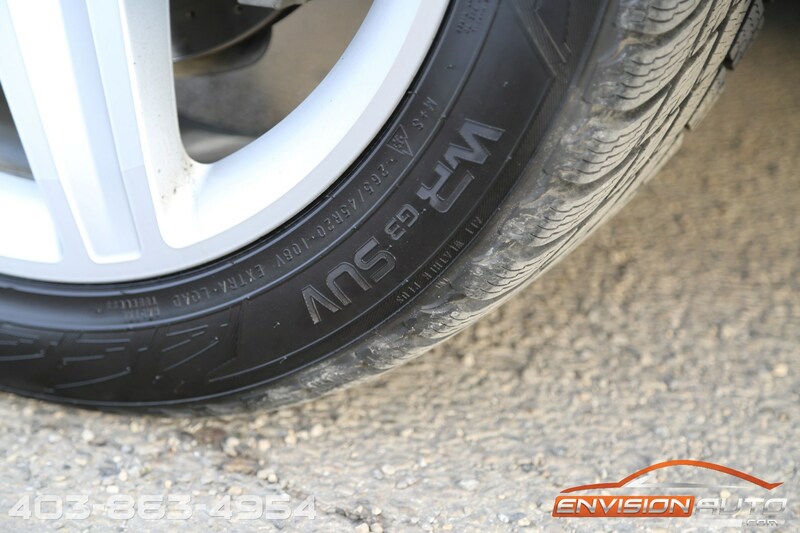 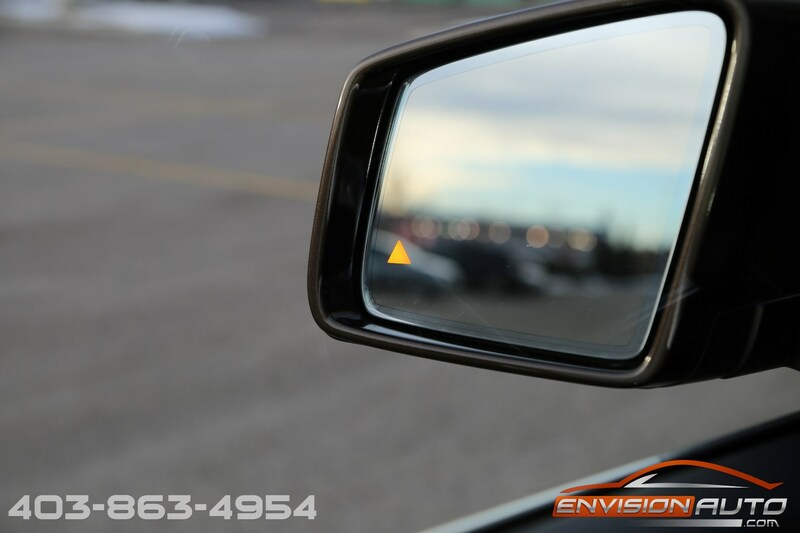 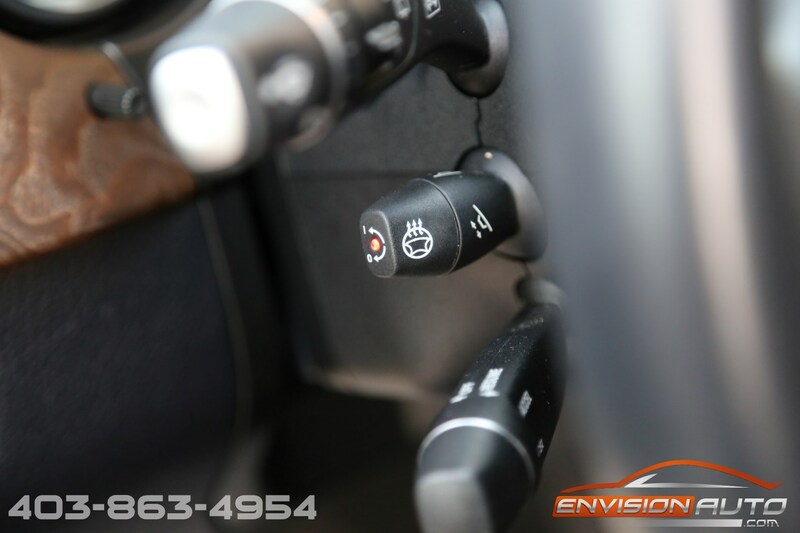 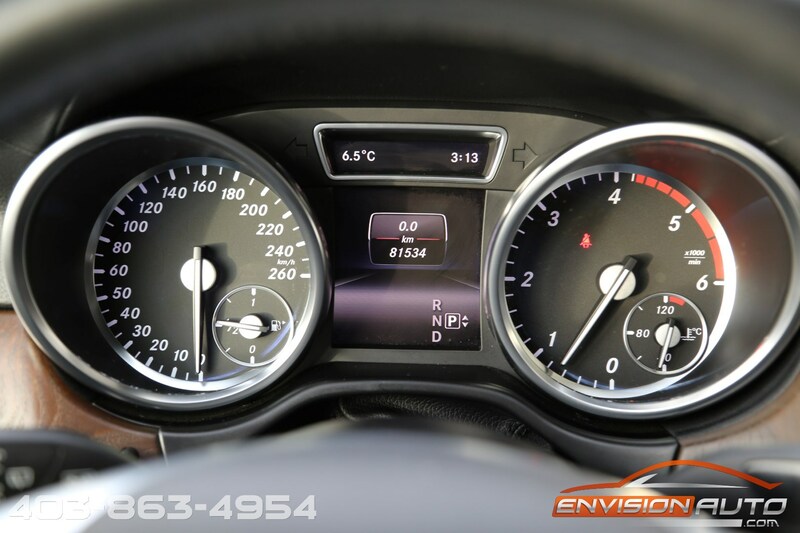 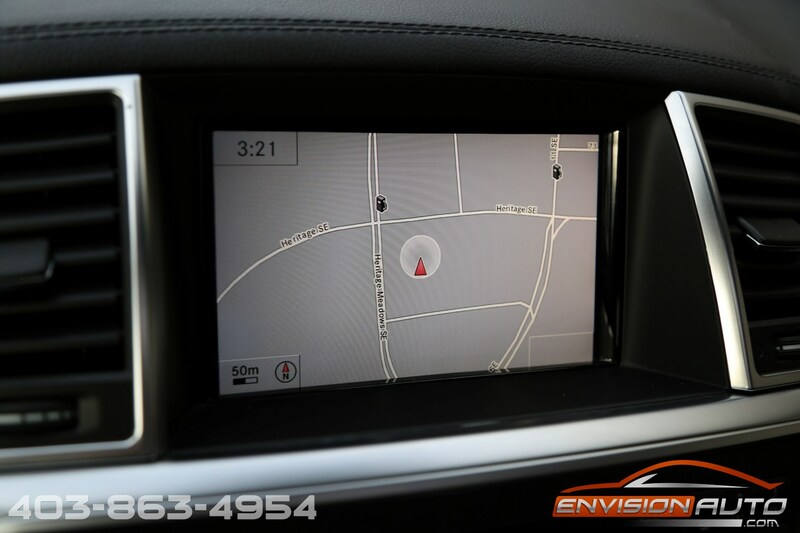 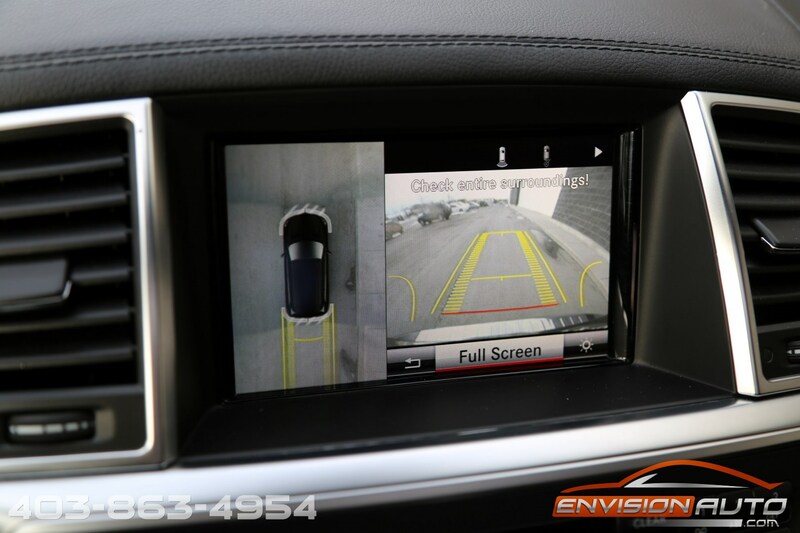 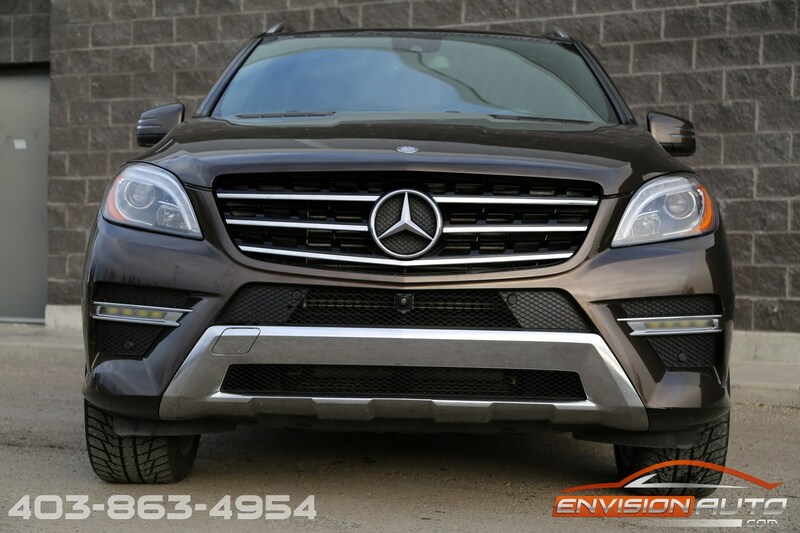 Extremely well equipped from the factory with all the major option packages including the Premium Package, Lighting Package – (Bi-Xenon headlamps with Active Curve Illumination & Adaptive Highbeam Assist); Sport Package Plus One – (20” AMG twin 5-spoke wheels, AMG lower body styling); Lane Tracking Package – (Blind Spot Assist & Lane Keeping Assist); Driver Assistance Package – (DISTRONIC PLUS with PRE-SAFE Brake, Active Blind Spot Assist, Active Lane Keeping Assist); Parking Assist Package – (PARKTRONIC with Active Parking Assist & Surround View System); Panoramic Sunroof, Brushed aluminum running boards with rubber studs, KEYLESS-GO, Class III trailer hitch (7,200 lb. 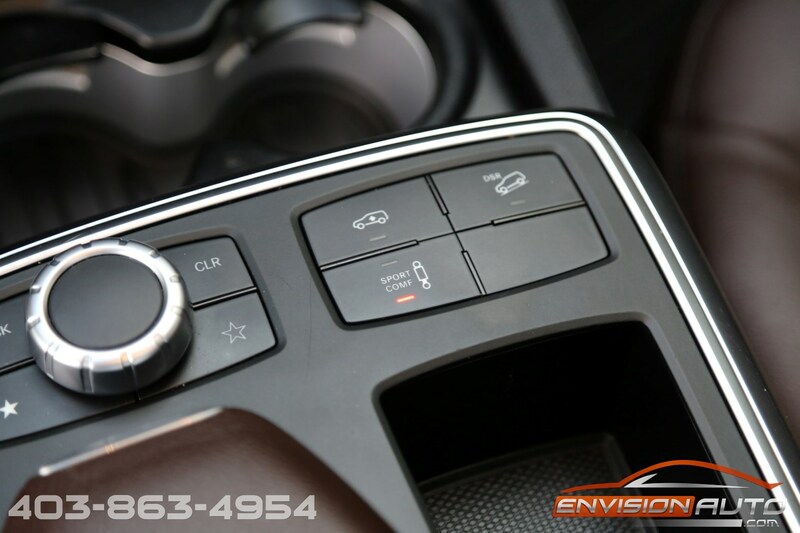 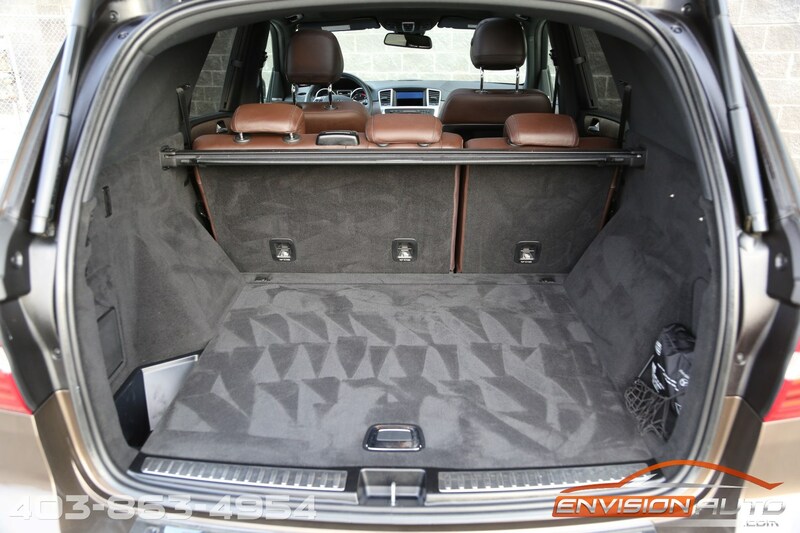 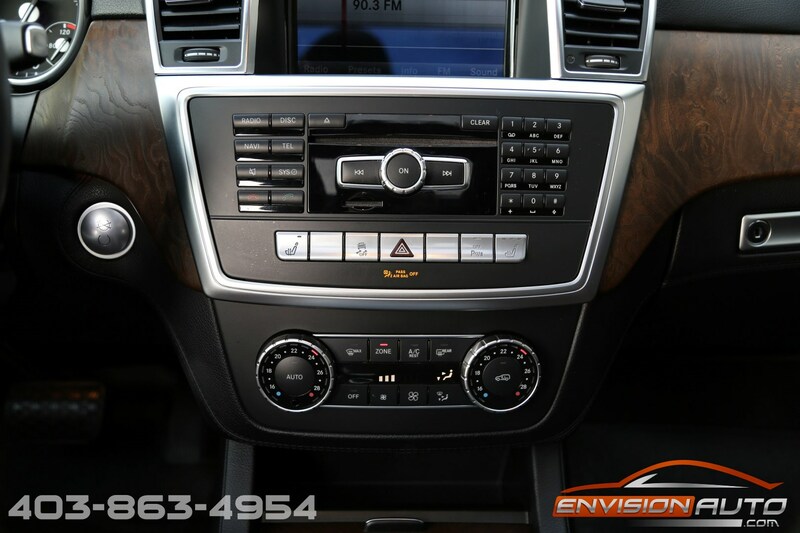 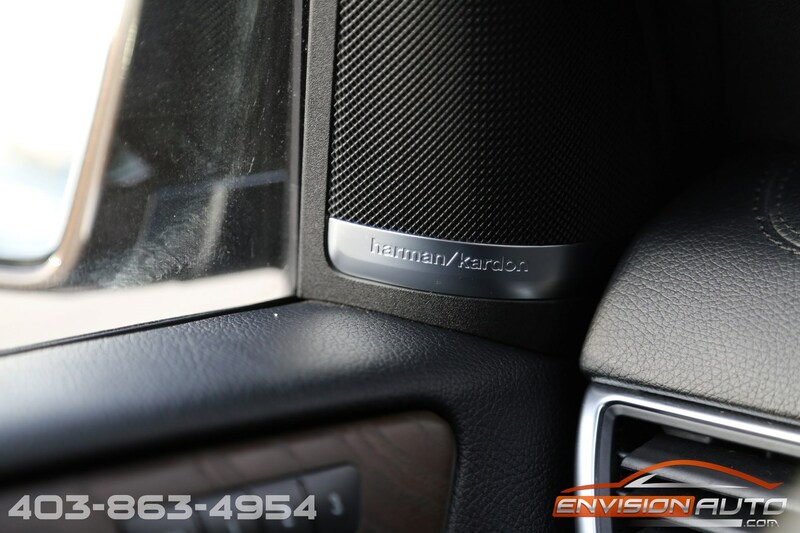 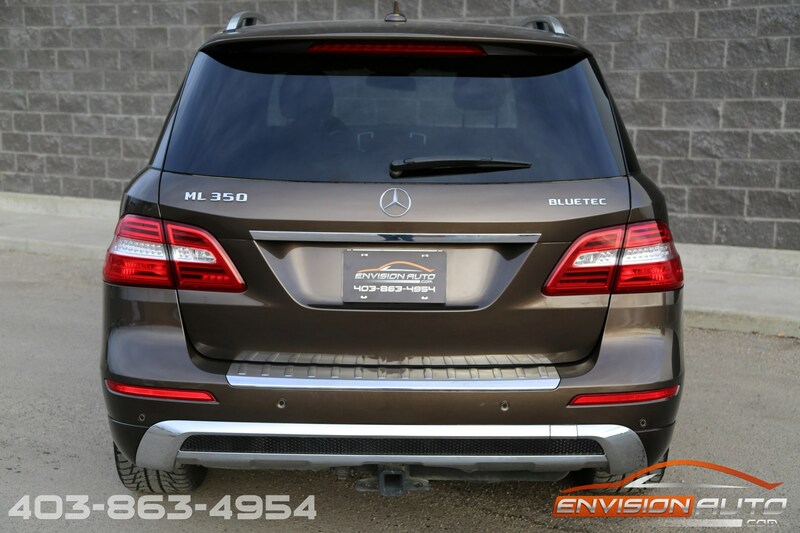 towing capacity on 4MATIC), harman/kardon LOGIC7 surround-sound system with Dolby Digital 5.1, Illuminated front door sills and multicolor interior ambient lighting, Heated rear seats, Heated steering wheel, Heated and cooled front cup holders. 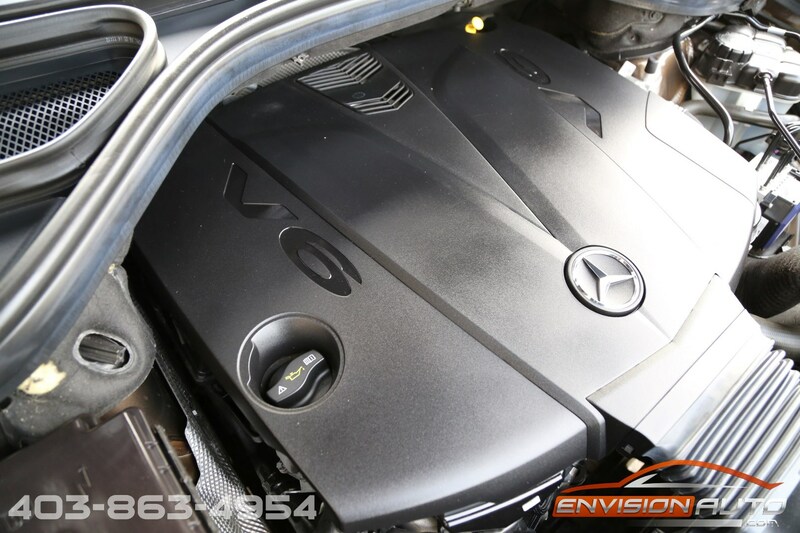 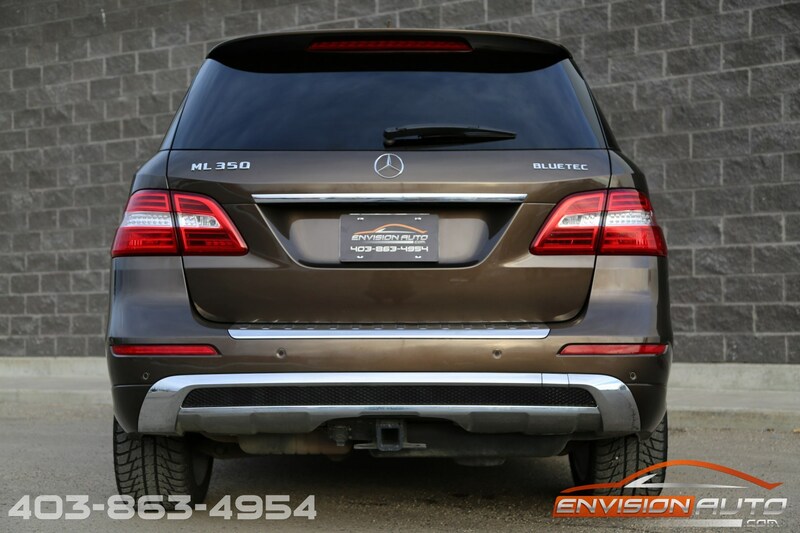 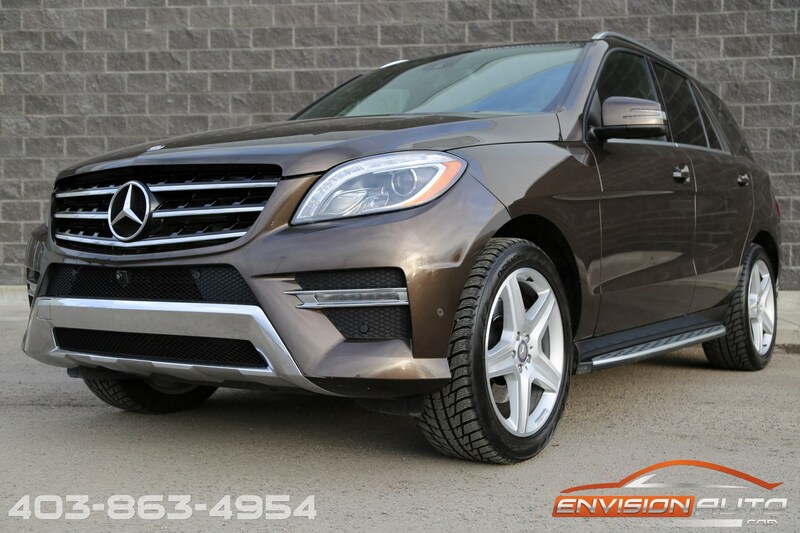 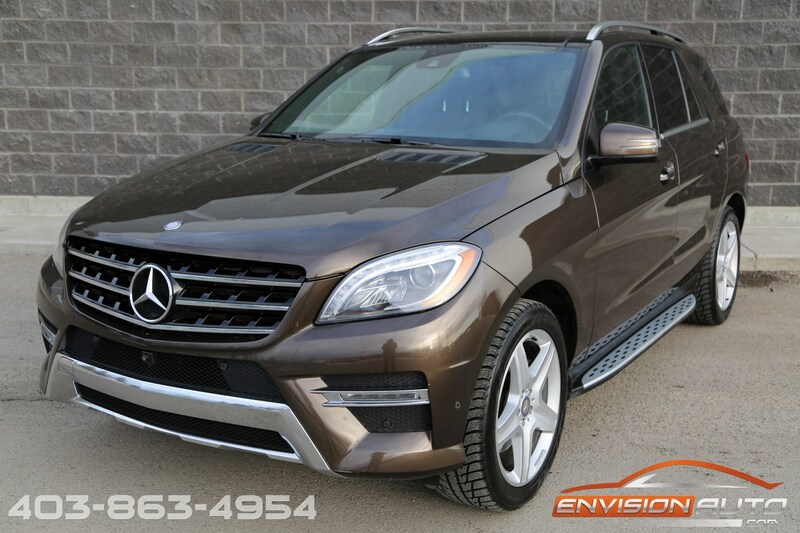 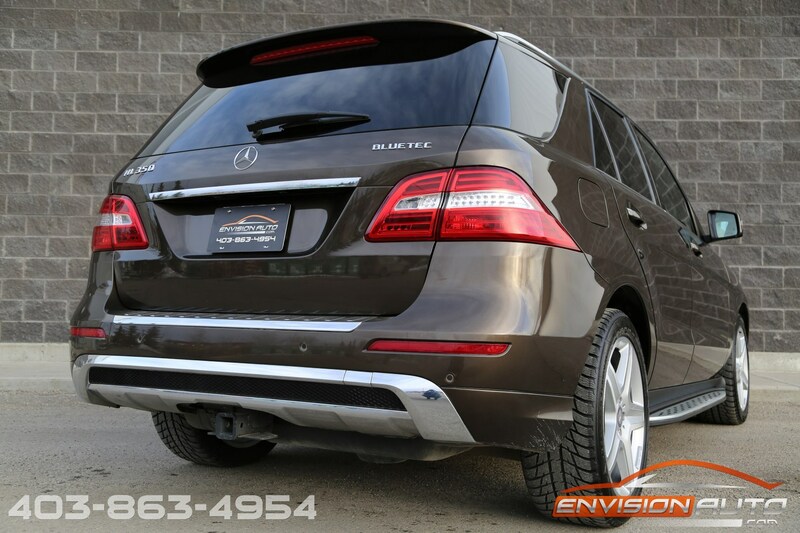 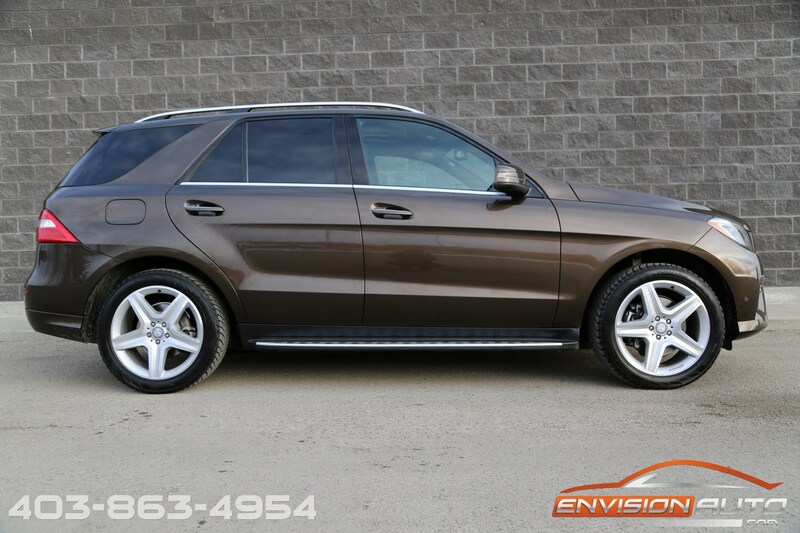 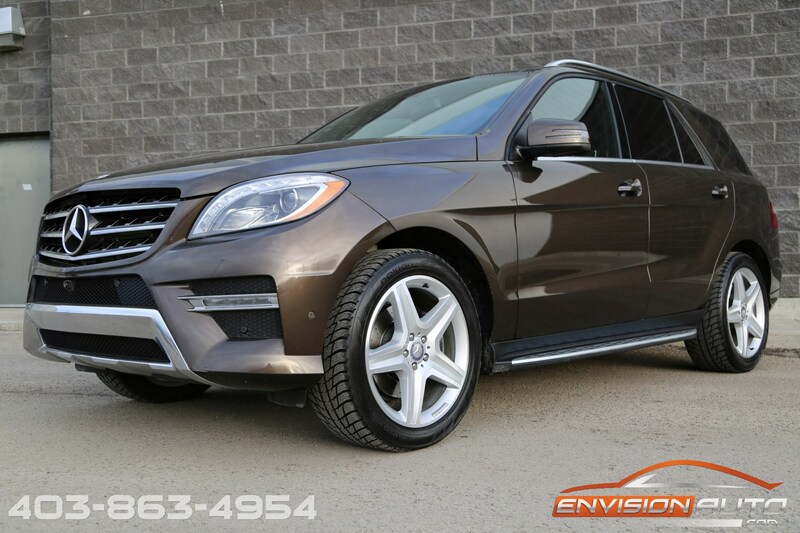 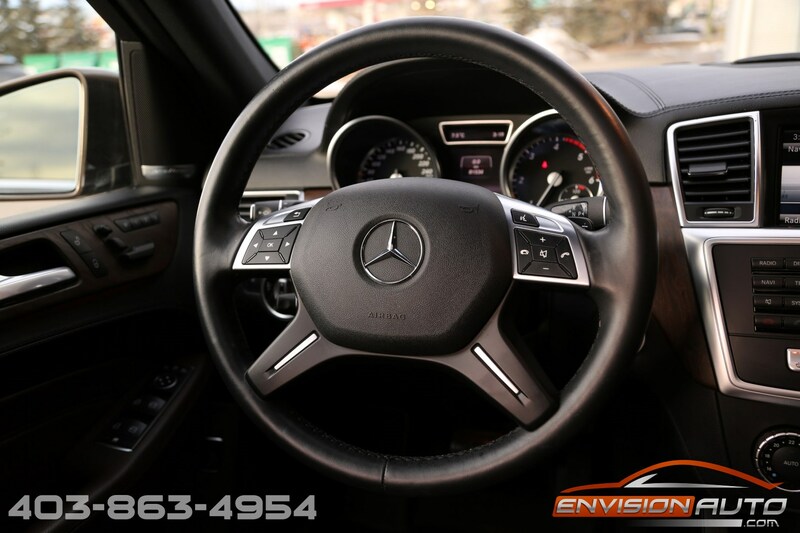 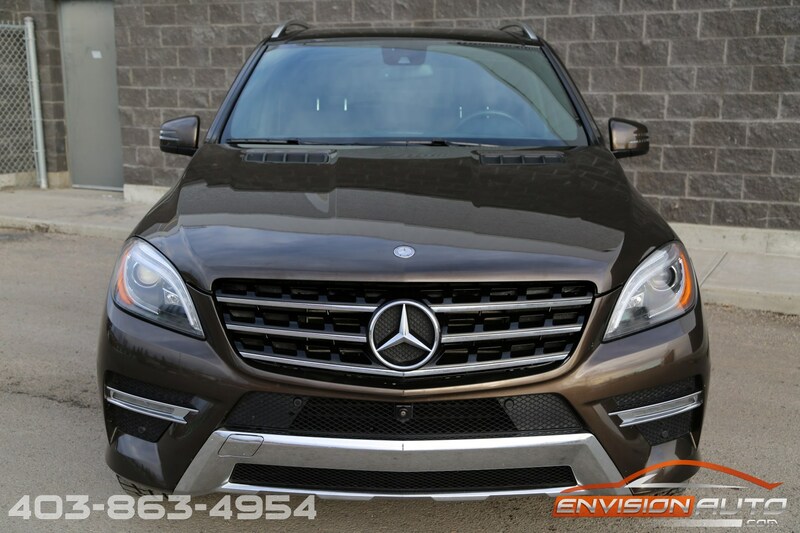 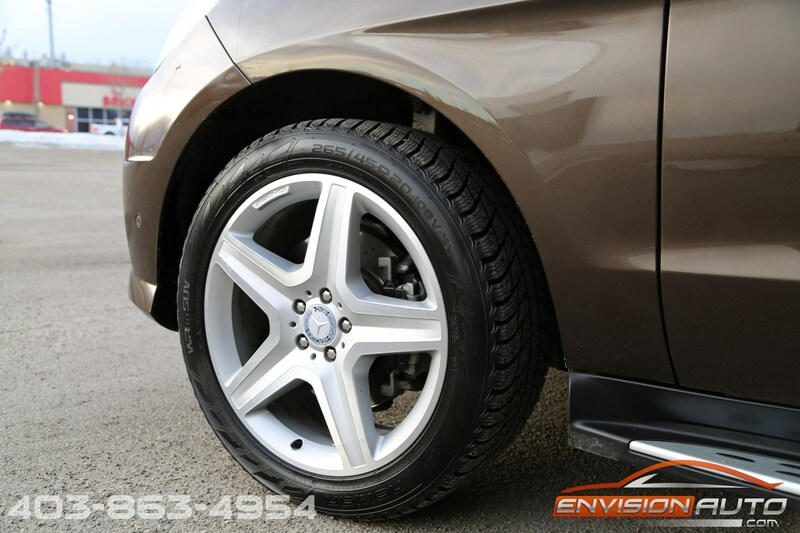 This stunning ML350 Bluetec is a local one owner vehicle that has only been registered in Alberta since new. 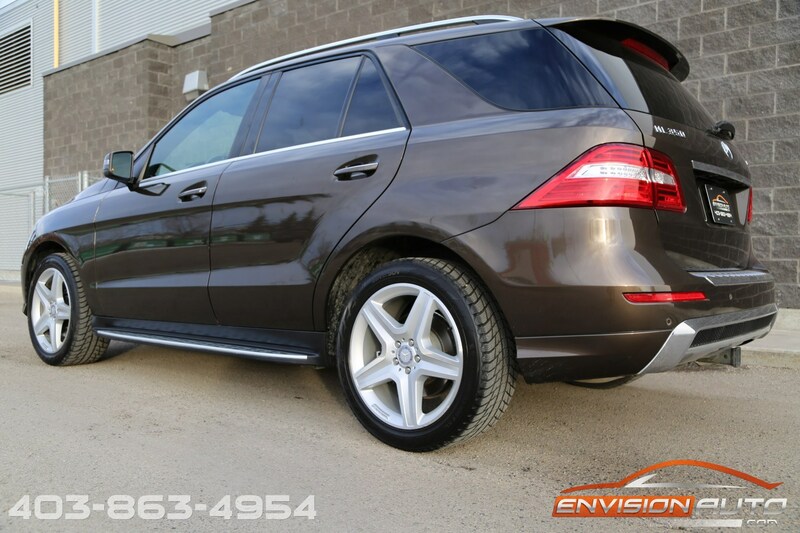 There are no prior accidents, insurance claims, or estimates on the Mercedes’ history as per the CarFax Canada history report. 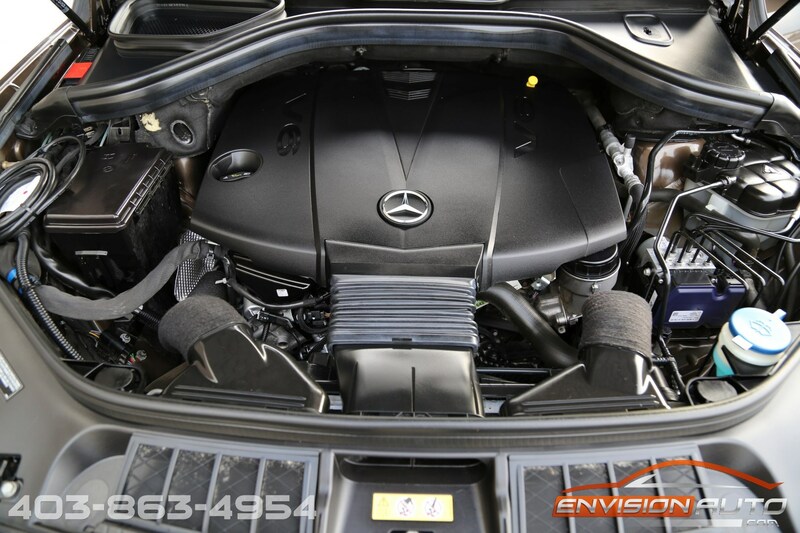 We have just passed the ML through a comprehensive 200 point Mechanical Fitness Assessment with it coming back clean without any concerns. 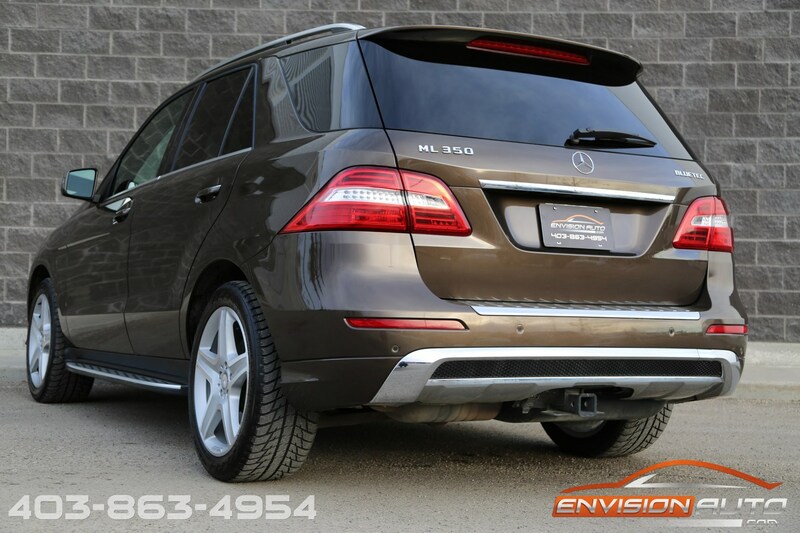 The ML does have a nicely documented servicing history with a complete recent service just completed. 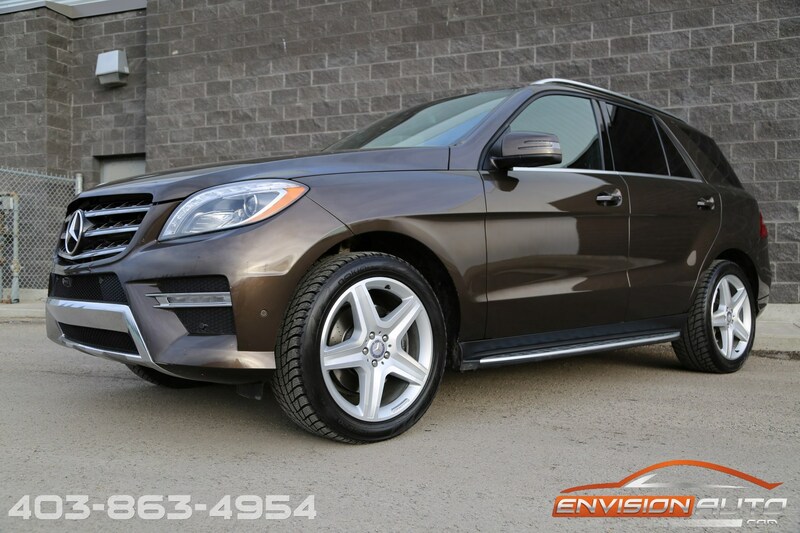 Color: Citrine Brown Metallic Ext. 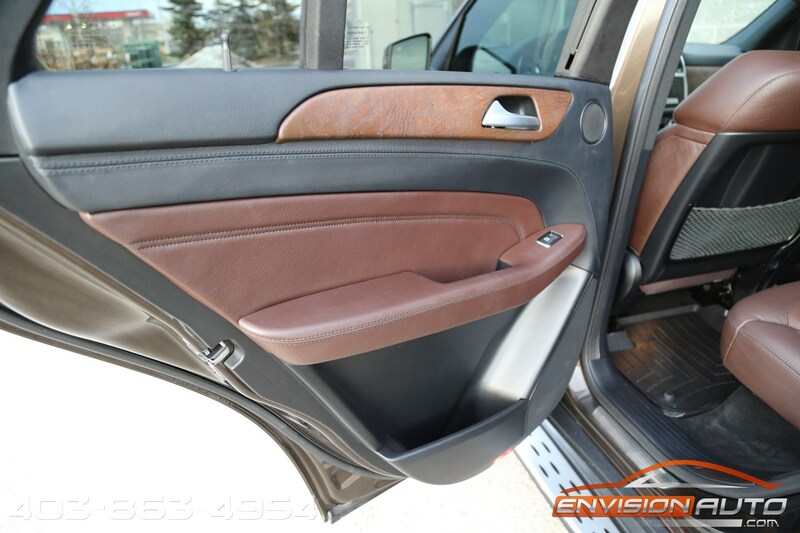 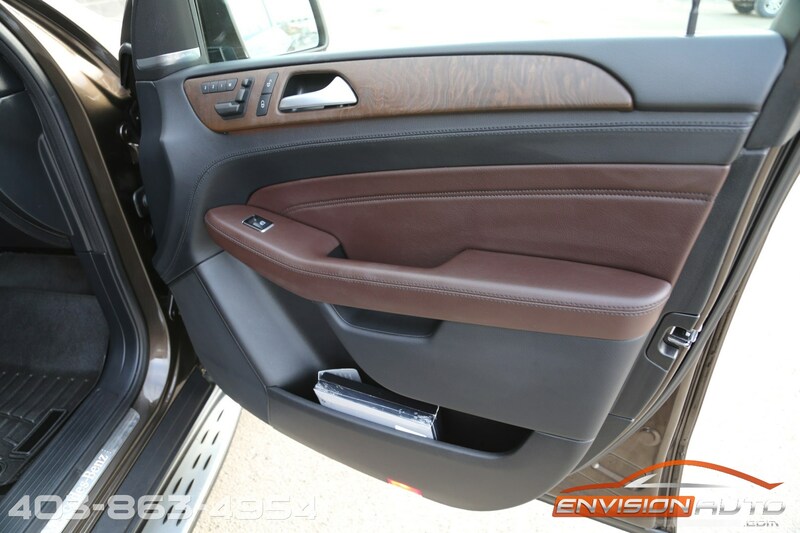 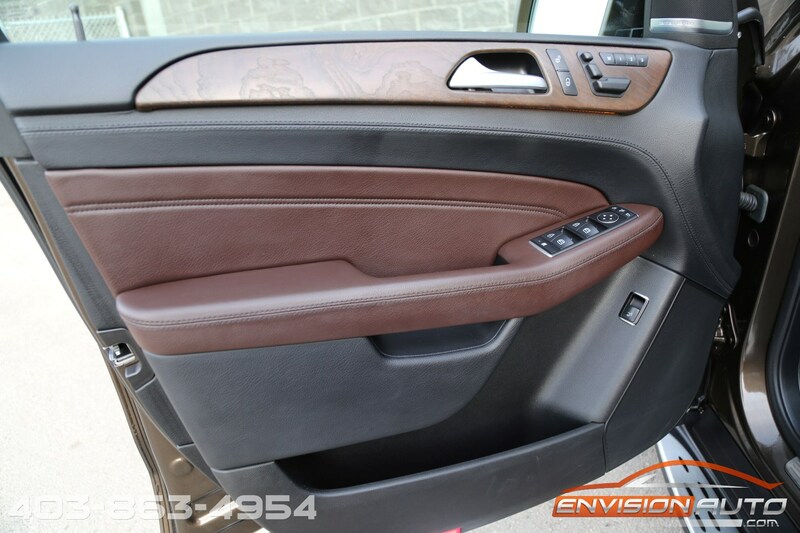 w/ Mocha Brown Leather Int.